It used to be illegal to sleep in your car in Los Angeles. The city’s municipal code outlawed using any vehicle parked on a public street, lot, beach, or harbor as living quarters either overnight, day-by-day, or otherwise. In June 2014, the 9th Circuit handed down a decision invalidating this law. The court unanimously held this language was “overbroad,” meaning quite simply that the municipal code criminalized otherwise innocent, legal conduct. Since it was overbroad, it violated the Due Process Clause of the Fourteenth Amendment. This may seem like a no-brainer. After all, as written, any activity one would do in a “living quarters” was illegal in a car, meaning eating, talking on a phone, and checking hair in the mirror. More pointedly, a tired surfer couldn’t take a nap before paddling back out, a vacationing family, couldn’t catch a few hours of sleep for the night before hitting the road again, and a struggling software salesman, forced into foreclosure after being hit hard by the recession, couldn’t pull over into a quiet neighborhood to sleep after a hard day’s work. Of those three examples, the first two typically weren’t the target of law enforcement, but the last one was. Since the Great Recession, many have taken to sleeping inside of their vehicles. Unsurprisingly, particularly in more wealthy neighborhoods, similar anti-vehicle dwelling ordinances have passed in an effort to give police the ability to eradicate this new type of “homeless” population. While this opinion only directly invalidates the Los Angeles law, it will also have an impact on any similar law in Arizona, California, Hawaii, Idaho, Montana, Nevada, Utah, Oregon, and Washington. Those states collectively hold about 62 million people, or nearly 20% of the nation’s total population. Thus, this single decision not only potentially impacts a large portion of the country, but asks an important question to all of us: is living in a car really that bad? Perhaps more importantly, now is a good time to change how our country looks at homelessness. Recent polls and census efforts indicate that upwards of 55-60% of employed homeless individuals reside in a vehicle. Maintaining and running a vehicle isn’t cheap, but it can certainly be less than rent in larger metropolitan areas. Living out of a car is even a preference for many. Business Week has reported on a trend of successful, young professionals opting to live in their vehicle rather than pay for posh apartments. 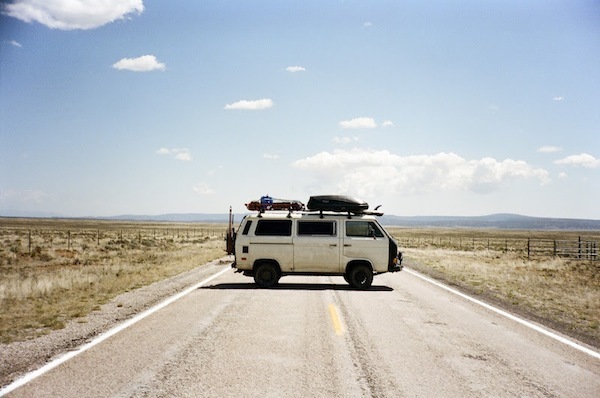 One example is Foster Huntington, who left a well-paying design job and apartment in New York City to live and do freelance design work out of his Volkswagen van, amassing nearly a million followers on his social media sites, and leading to the recent publication of his photo book on the subject of “van life.” The carefree, anchorless lifestyle embodied by “van life” is demonstrative of how these laws criminalize perfectly legal, if not remarkably practical and utilitarian life choices. The other side of the token is that homeowners should be free from finding trash or waste strewn about from vagrants. They should also be free from seeing a camper parked on the street in front of their home for days on end. Considering there are already perfectly valid laws against criminal damage to property and littering in place, the former concern can be dispelled. Moreover, there are also laws in many, many cities against leaving in a vehicle parked on the street in one space for more than 24 hours. This leaves the homeowners complaints seemingly solely against having to see vans, campers, or cars filled with possessions or extra storage, and the unnecessary, perhaps misguided shortsighted stigma attached to their occupants. After all, it’s quite likely the occupant of that vehicle is working, paying taxes, and supporting a local economy. Homeowners should also consider this: having a vehicle parked on your street is preferable to having someone sleeping on the sidewalk. Where vagrancy has been a real issue, spending more time addressing the causes is certainly more desirable than criminalizing looking for a place to find some rest. In the meantime, Los Angeles will have to adjust to the changes in their law, and other cities should be prepared to either stop enforcing anti-vehicle dwelling laws altogether, or spend some of those complaining homeowners hard earned tax dollars on defending the laws in court.